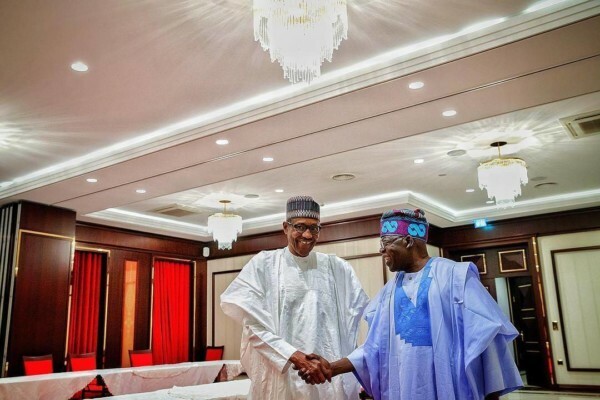 The All Progressives Congress (APC) National Leader, Bola Tinubu, on Sunday called on Nigerians to support President Muhammadu Buhari to resolve the country’s current economic challenges. Tinubu made the call in a Christmas message signed by his Media Officer, Tunde Rahman in Lagos. The challenges facing the country are difficult ones. Let us unite to overcome our challenges and keep the hope alive. We must support President Buhari and complement his efforts in his resolve to stimulate the economy and reposition the country. The president needs our support, understanding and prayers. We must fully break the terrorism of Boko Haram and completely put down the last vestiges of the terrorists. We must continue to pray for the men in uniform who risk their lives to keep us safe and to end this scourge on the nation. I commend our troops battling the terrorists. I thank them again for their courage and bravery. Let us remember those who have been dispossessed of their homes and traumatised by the evil of these terrorists and pray that they all will be able to return home soon and begin their lives a new and better. Yet, we must do more than pray. We all have something to give, something to contribute to the greater good. As Jesus gave of himself that we may live better, we must give of ourselves that others around us may have a better life. Christmas Day, is one of the most precious days of the year for it celebrates the birth of Jesus Christ. Be you Christian, Muslim or just a human being with a soul that yearns for peace, compassion and hope, Jesus Christ belongs to all of us. His teachings are universal in application and speak of truth eternal. He reached out to all. Jesus fed the poor and healed the sick. He spread compassion and charity and preached love and justice. There are no finer aims than these and we can do no better than to do all we can to follow his example. We must commit ourselves to peace and unity. Let us eschew all bitterness and bigotry.